A landmark in folklore was published on December 20th, 1812. Jacob and Wilhelm Grimm were born at Hanau in the electorate of Hesse-Kassel in Germany in 1785 and 1786, respectively. They were the greatest figures of the new intellectual interest in folk tales that developed in their time. 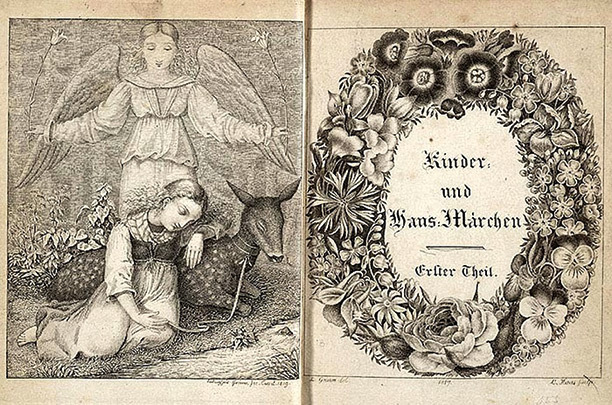 The first volume of their Kinder- und Hausmärchen (‘Children’s and Household Tales’), published in 1812, included 86 stories. The second, which came out in 1814, added 70 more. There were numerous later editions, deleting some stories and adding others, of what became known in English as Grimm’s Fairy Tales. They have fascinated and frightened generations of children in more than 70 languages and have inspired authors, artists, composers and film-makers as well as generating what has been described as a minor industry of criticism and interpretation, including Freudian and Jungian analysis. In 1697 in France Charles Perrault had published what would become classic fairy tales for children, including ‘Cinderellla’, ‘Puss in Boots’ and ‘Little Red Riding Hood’, but his versions of the stories were meant for sophisticated aristocratic families. The Grimms’ attitude was entirely different. 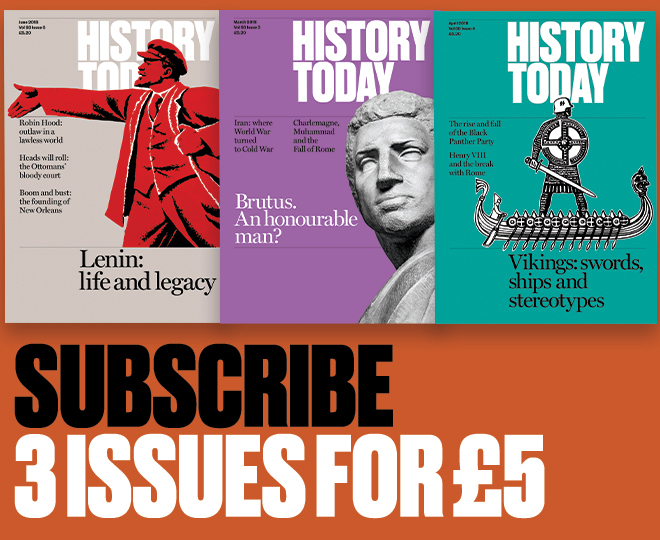 They believed that folk stories, handed down by word of mouth from one generation to another over centuries untold, enshrined the fundamental ideas, beliefs and reactions to human experience of ‘the folk’. Expressing their hopes and joys, fears and sorrows, the tales were profoundly significant for children and grown-ups alike. The brothers took stories from Perrault and many others, but their versions were frequently different. An example is ‘Cinderella’, where the fairy godmother Perrault introduced does not appear. Demoted to the family’s kitchen maid after her own mother’s death and her father’s second marriage, the heroine is nicknamed Aschenputtel (‘Cinder-Fool’) by her cruel stepmother and stepsisters. She plants a hazel twig on her mother’s grave which, watered by her tears, grows into a tree. Two doves sent down from heaven by her mother come to the tree to help her when she prays for aid over the royal ball. They drop her a white gown and silk shoes for the ball’s first evening. For the second she has a far more splendid silver gown with silver shoes and on the third evening she is dressed in a magnificent golden gown and golden slippers. The prince has now fallen utterly in love with her and when she drops one of the golden slippers while running away he uses it to find her and identify her with the assistance of the heavenly doves, which also fly down and blind the evil stepsisters by pecking their eyeballs. As in this case, many of the Grimms’ versions of the stories had a cruelty that was later frequently edited out as the stories became more and more popular as tales for children. Another change often made, incidentally, was turning an evil mother in a story into an evil stepmother, which was evidently considered more suitable. The Grimms were keen German nationalists who wanted to see the multitude of German states united as one country and who believed that folk tales revealed a national German identity. Even stories like ‘Red Riding Hood’, told in varying versions in many languages, were thought by the Grimms to originate from ancient Germanic tales and they identified themes and incidents in Germanic mythology and legend that they believed were echoed in folk tales. 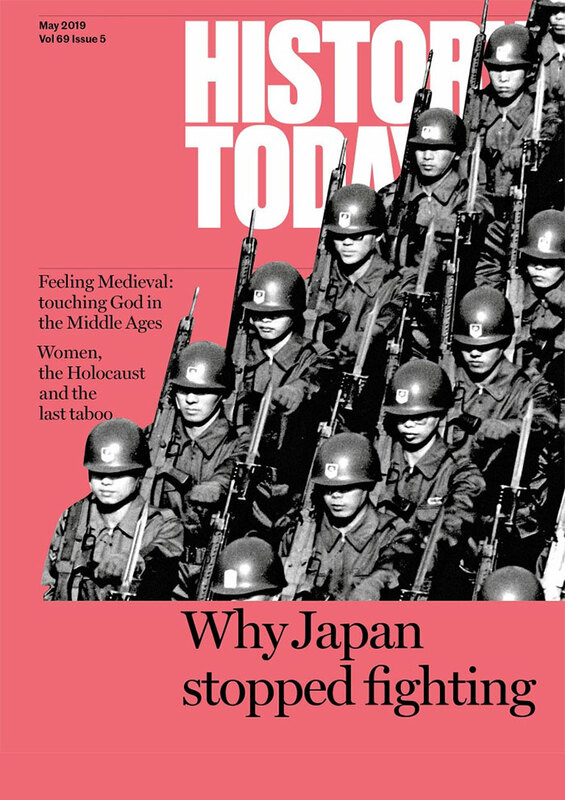 The Nazis warmly approved of the Grimms’ work, which, as Professor Jack Zipes puts it in his book on the brothers, they exploited ‘to uphold the racist and nationalist supremacy of the German people’. After university at Marburg, Jacob and Wilhelm spent several years working as librarians in Kassel. Influenced and encouraged by their friends Clemens Brentano and Achim von Arnim, who published a collection of folk songs in 1805, they began collecting folk tales from peasant story-tellers and from middle-class friends and families and their servants, as well as from European literary traditions. ‘Sleeping Beauty’ and ‘Hansel and Gretel’, for instance, came from a friend called Dortchen Wild and her family and their nanny. William married Dortchen in 1825, but Jacob never married and lived with his brother and his sister-in-law. Besides the folk tales, between 1816 and 1818 the Grimms published two volumes of German legends and from 1819 Jacob published a huge work on the grammar of Germanic languages. In 1830 the Grimms moved to the University of Göttingen as professors and librarians and Jacob published a highly influential book on German mythology. In 1840 they were invited by Frederick William IV of Prussia to move to university posts in Berlin, where they remained until their deaths, working on a giant dictionary of the German language. William died at 73 in 1859, followed by Jacob at 81 in 1863. At that point the dictionary had reached the letter F and the word frucht, meaning ‘fruit’.